Mr John Lewis who is head of Birmingham, has decided that we should spend £150,000 on an advertising campaign all about Greater Birmingham. It seems the marketing people have been taking their cue from Mr Lewis’s other business — as we can see from this leaked script. 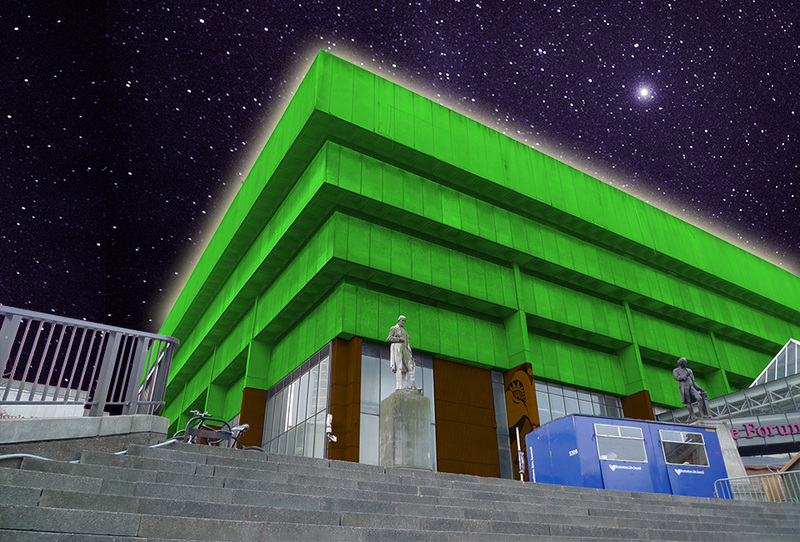 Please find attached first script ideas for the Greater Birmingham campaign DRTV. 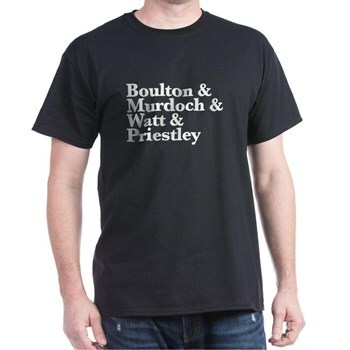 I feel there may be a lack of Black Country in it — can you discuss with Walsall Council? We could swap Roy Wood for Noddy? Need a URL for response on the end plate – do you talk to Capita or do I? HE STRUGGLES THROUGH THE GERMAN MARKET, THE GERMANS ARE DISMANTLING IT AND SOGGY WURST IS EVERYWHERE ON THE PAVEMENT. HE GOES TO CAFÉ BLEND BUT IT HAS BEEN TURNED INTO STARBUCKS, A SUBWAY, AN OFFICE OF NEWS INTERNATIONAL AND THE JEREMY CLARKSON FAN CLUB HEAD OFFICE. TRAFFIC IS BACKED UP FOR MILES, OUTSIDE A CLOSED QUEENSWAY TUNNEL. SNOBS IS BOARDED UP – THERE’S A LOST LOOKING INDIE KID SITTING OUTSIDE. IN THE BACKGROUND A BULLDOZER ROLLS TOWARDS PARADISE CIRCUS. HE SHUFFLES PAST BIG JOHNS AND UP PAST SMALL HEATH PARK, THE SWINGS ARE PADLOCKED UP FOR THE NIGHT, SOMEONE’S CHUCKED THE LIFE-RING IN THE BOATING LAKE AGAIN, BUT ZOOM OUT, DOESN’T IT LOOK LIKE A CHRISTMAS WREATH? THE GARRISON PUB LOOKS A CLOSED AS EVER, PLASTIC ST. GEORGE BUNTING FRAYS FROM THE GUTTERING. THE GARRISON TAVERN IS DECKED OUT IN LATIF’S FINEST XMAS DECS – IT’S A HAPPY CHRISTMAS LOCK-IN. JAMELIA IS BEHIND THE BAR WITH CLAIRE SHORT – BOTH IN SAUCY BARMAID CHIC. MARTIN SHAW IS PLAYING CLUEDO WITH TREVOR EVE, AND IS THAT KOJAK AS THE REV. GREEN ON THE CARD? IT SURELY IS. STAN COLLYMORE THROWS SOME SCRATCHINGS FROM THE BAR TO ANOTHER PUNTER – TREVOR FRANCIS – WHO TAKES THEM OFF HIS CHEST AND BOUNCES THEM OVER STEVE BRUCE WHO ROLLS HIS EYES TO A GRINNING DWIGHT YORKE. FAT RON COMES THROUGH THE HATCH BEHIND THE BAR – HE’S THE LANDLORD, HIS SHIRT STRETCHES OVER HIS GUT – HE NODS APPROVINGLY AND SWITCHES THE KARAOKE MACHINE ON. THE PISSED OLD CHAP AT THE CORNER TABLE, YELLOWING BRMB T-SHIRT, WITH A PINT OF MILD AND A PLASTIC BAG OF VEG SPILLING OUT TURNS OUT TO BE A SMILING MIKE WHITBY. THE DOG AT HIS FEET IS THE SPIT OF THE ONE FROM WOOF! SATNAM RANNA AND MALKIT SINGH WALK THROUGH THE DOOR. A COUNCIL PR (PLAYED BY SOMEONE FROM DOCTORS IF AVAILABLE) SURREPTITIOUSLY PUTS UP A SIGN THAT SAYS ‘WINTERVAL’ OVER A POSTER THAT SAYS ‘CHRISTMAS’ AND THEN GIVES THEM BOTH A WARM HUG. THERE’S A SAD REFLECTIVE MOMENT AS NEIL MORRISSEY PAUSES AND RAISES A SILENT TOAST TO A PHOTO OF MICHAEL ELPHICK AS BOON FRAMED ON THE WALL. CHRIS TARRANT AND SALLY JAMES ARE OBVIOUSLY AN OLD MARRIED COUPLE – IT LOOKS LIKE THEY’RE BICKERING, HE BRINGS OVER A G’N’T AND SAYS ‘BUT WE DON’T WANT TO GIVE YOU THAT’ – SHE LAUGHS AND IT’S ALL OK.
MARK ROGERS IS ABOUT TO DO THE KARAOKE – HE’S DOING DON’T YOU WANT ME BY THE HUMAN LEAGUE. LAWRENCE OUT OF FELT IS ‘MINESWEEPING’ DRINKS FROM THE TABLES, FAT RON CATCHES HIM BY THE SHOULDER – SHAKES HIS HEAD BUT INSTEAD OF CHUCKING HIM OUT GIVES HIM A PINT OF BREW XI. 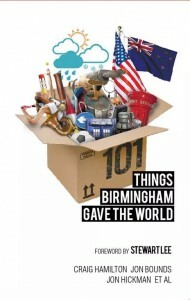 DIGBY JONES IS WRAPPING PRESENTS TO PUT UNDER THE TREE: A TOASTER, A KETTLE, SEVERAL HUNDRED COPIES OF 101 THINGS BIRMINGHAM GAVE THE WORLD. THERE’S A BIG OLD SING SONG ROUND THE PIANO, ROY WOOD IS DRESSED AS SANTA, WITHOUT LOOKING CREEPY HE BECKONS SMALL BOY TO JOIN THEM. THEM IS WHOEVER WE CAN GET: ONE OF THE CAMPBELL BROS. TURNS TO CAMERA — NO WAIT IT’S ALL THREE, AND THE REST OF UB40 ALL MATEY, ADIL RAY AS MR KHAN, JOAN ARMATRADING, DAVE HILL FROM SLADE, APACHE INDIAN, ALBERT BORE, MARTIN MULLANEY, SUE LAWLEY, PROBABLY KING MALL THE DHOL PLAYER AS IT’S HARD TO GET HIM NOT TO TURN UP ANYWAY, PAUL HENRY – IN HIS HAT IF HE CAN BE PERSUADED, THE SAXOPHONE GUYS – YOU KNOW THE ONE OUT OF THE BEAT AND THE JAZZ ONE, IAN LAVENDER IN HIS PRIVATE PIKE VILLA SCARF, ROLAND GIFT, STEPHEN DUFFY & SIMON LE BON WITH ARMS AROUND EACH OTHER. DION DUBLIN IS TRYING TO GET GEEZER BUTLER TO PLAY A DUBE CUBE. LES ROSS AND ED DOOLAN – SADLER AND WALDORF STYLE (CLOSE AS WE CAN GET WITHOUT COPYRIGHT PROBLEMS) – ARE SITTING TOGETHER NODDING. Wish it could be THIS Christmas every day? As leaked to Jonathans Bounds & Hickman, Julia Gilbert and Tom Lennon. 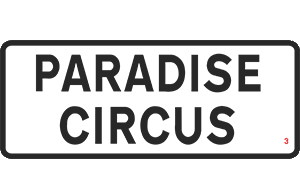 Visit the Paradise Circus Online shop.